Is It Too Late To Start A Blog? 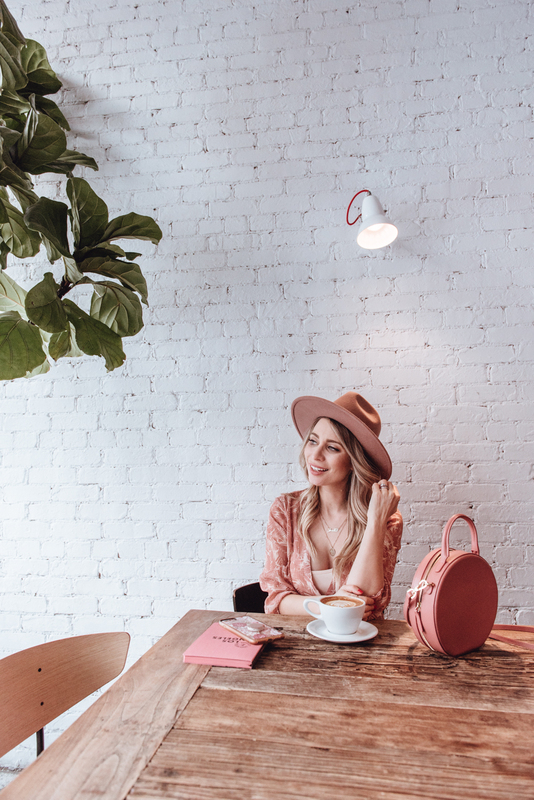 | La Petite Noob | A Toronto-Based Fashion and Lifestyle Blog. If I had a dollar for every time I have been asked the question "is it too late to start a blog," I would be a rich woman - or at least have a new Chanel bag! In all seriousness though, if I can think of one of the most frequent questions that I get asked about blogging, or that comes up in many conversations on the topic, is if it's too late to start a blog in 2019. My answer, and my opinion on the subject is a resounding no - it's definitely not too late to start a blog! Having a blog to share your thoughts and feelings, post creative photos and watch your photography improve and engage in a small but mighty community is an amazing thing, and the ship most certainly has not sailed on the experience. To put it in perspective, I asked myself this same questions before starting La Petite Noob over 5 years ago. The blogging community in Toronto was small but established, there were already so many great blogs that I read daily and everything that I was interested in blogging about seemed to already be covered. I'm so glad that I ultimately decided to throw caution to the wind and just go for it, starting my own blog. Make no mistake though, it certainly wasn't an easy decision - this question held me back from starting for years. Yes, the blogging landscape is totally different now. There's certainly a saturation, and social media and the numbers game is much more prevalent. There's also a lot of advantages to starting a blog today. For example with so many girls and guys with their own blogs, it's much easier to connect and build your own community. Blogging is a pastime that is more commonly known now, so explaining your new journey to friends and family is a little easier. Plus, the way I look at it is that the internet is a big place - there's room for everyone. So if you're on the fence about starting your own blog/Instagram account/Youtube Channel, whatever it is - my advice to you is to just do it. Don't worry about a right time, perfect situation or the right equipment - just start. Learn as you go and enjoy the process. It may seem like a slow journey, but I promise you that when you look back in years time you will be glad that you made the decision to start. I have a video all about tips for new bloggers that might be interesting to you if you're thinking of starting a blog, or are new to blogging. Have a look! I would love to hear your thoughts about if it's too late to start your own blog. Did you ever grapple with this question when first starting your blogging journey? Is this questions currently holding you back? I've been reading more and more blogs. They're so interesting, I started writing again and hopefully I can get my blog going as well. Love that you posted this! I was having a lot of discussions about this and am going to keep going with my blog and YouTube as much as I can! I love this.... I'm definitely going to start blogging next week. I still think blogs are good creative outlets! I just started blogging last year after wanting to for several years but something was holding me back. I'm glad I did! I have my full time career now which I love, AND an amazing creative hobby on the side! I love this. I am so happy to come across your blog and to be reading this - perfect timing. Its been about 2 years now since I wanted to start a blog, but always got nervous that I didn't have a specific talent or that I wasn't that great at writing. Thanks for the little extra nudge to just do it! Believe me, it is never late to start a blog because if you really want to start it doesn't mind how old you are. Everybody must do what he wants. You have a great blog!